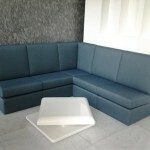 We manufacture sofas to order at our factory in Dubai, as we well as stools, poufs and chaise lounges. With over 10 years experience in making Sofas, we are the ideal company to help. Our expertise in Sofas allows us to make Chesterfields, Divans, Love seats, Chaise lounge, poufs, and many types of upholstered chairs. Check out our gallery for the some of the types we have made. We can also supply to Hotels, restaurants and other projects. Our experienced team can guide you through the process of creating your new sofa. We have a large selection of fabrics to assist you in creating that unique furniture piece. 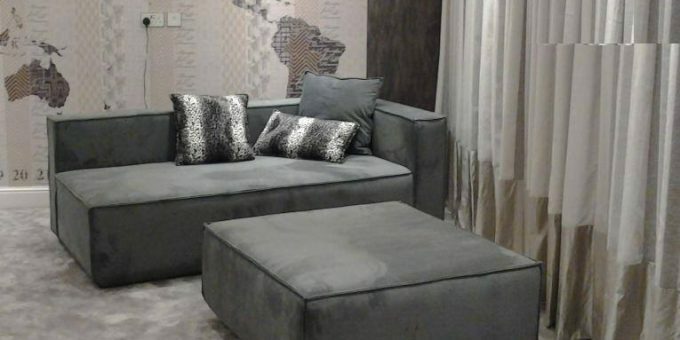 Visit our factory in Al quoz and we can guide you through the process of designing your custom made sofa. Our staff can assist in Fabric choices, Sofa Styles and even Foam thickness to ensure the Sofa exactly matches your requirements. And if you don’t plan to have a new sofa made, we can always re-upholstery your old piece and Make it look like new! Just visit our team in Al quoz, Dubai and they can run through the whole process with you. Lounge Sofas are a popular sofa style that is produced in our factory. In classic or lounge styles, the sofas can be customised with carved wood or in a classic Kensington leather style. Alternatively softer fabrics can be used such as Suede to offer a totally different look. L-Shaped Sofas are very popular relaxed sofa and are offered in a fixed L Shaped Design or in a modular style that can be adjusted. Additional Ottoman or poufs can be supplied to compliment the Sofa. A range of fabrics can be used including natural leather. 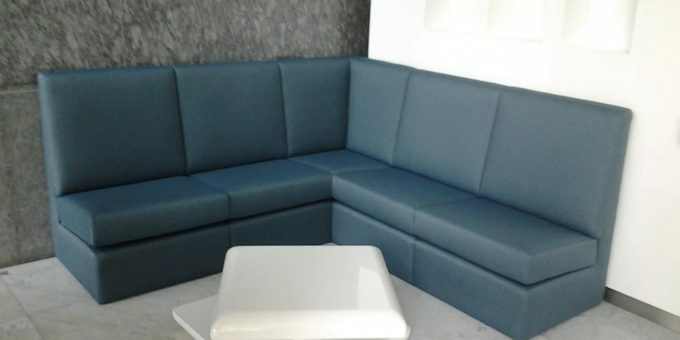 Banquette Sofas are a popular choices in Restaurants and dining areas. They offer a straighter back allowing more seating to added in a smaller space. These sofas are designed primarily for dining and are finished normally in leather or synthetic fabrics. They can be mixed with wood features. 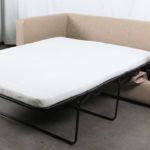 Sofa Beds are popular for the Home and also for Hotel Use. Our Joinery section can make custom designed frames integrated with a strong bed mechanism. Our upholstery section will then cover the sofa bed in your chosen fabric. Leather and Fabric options available.